AS IT STANDS: Truthful Hyperbole, Alternative Facts, and Damn Lies! Truthful Hyperbole, Alternative Facts, and Damn Lies! If you've ever wasted your time (and money) reading Trump's book "The Art Of The Deal" you discovered a term called "Truthful Hyperbole." Trump uses the term to buff up his image and to make a larger point. Truthful Hyperbole is nothing more than a lie dressed up in a con man's tuxedo. It's the forerunner to Trump's Alternative facts as per his new Press Secretary Spicer. But we all know alternative facts are naked lies. Even though the Emperor doesn't have on any clothes, his minions look the other way like dumb sheep. How long is Trump going to get away with serial lying and rewriting laws to benefit his billionaire buddies? That's a question only time will answer, but I'm seriously thinking about placing my bet in Vegas where the odds are 50-50 that he won't last a year before his compounded lies get him impeached. Even some Trump supporters, like Lindsey Graham are asking Rump to stop lying. 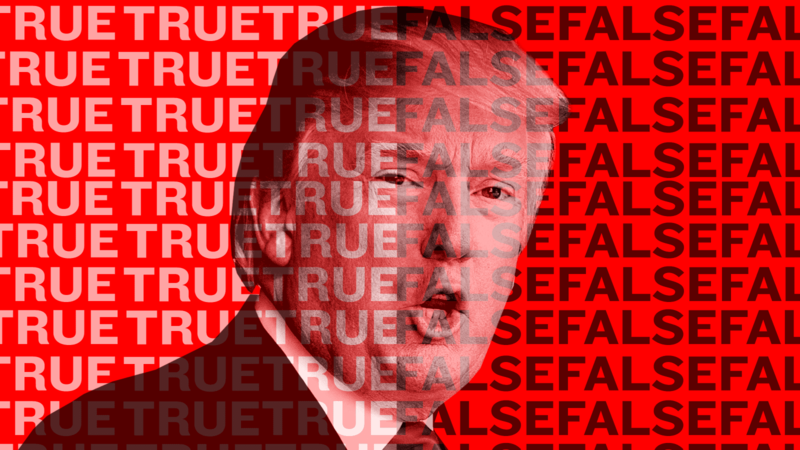 But how can you stop a serial liar? At 70 years-old any hope of embracing the truth is long gone. But that doesn't mean his lies should go unchallenged. It's going to take brave men and women who really love this country to hold Chump's feet to the fire and to expose his lies in real time.